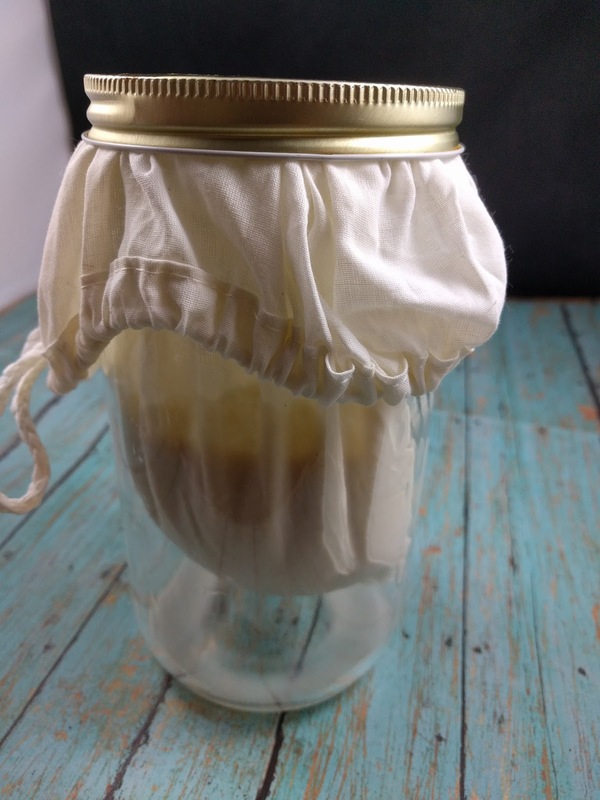 Here is a divine, "junk-free" condiment I made with my homemade Instant Pot Soy Yogurt. I made it to use on veggie burgers, paninis, or wraps! If you have the Instant Pot IP-DUO 7-in-1 with the yogurt feature, just take 2 cups of Trader Joe's UNSWEETENED Soy Milk* in the aseptic container (containing only organic soy beans and filtered water!!!) and pour it into a pint-sized glass jar. Stir in 2 T. of UNSWEETENED, PLAIN soy or coconut yogurt (or previously made yogurt). Place the UNCOVERED jar in the Instant Pot inner bowl. Cover the top, set to SEALING, and click the yogurt button. 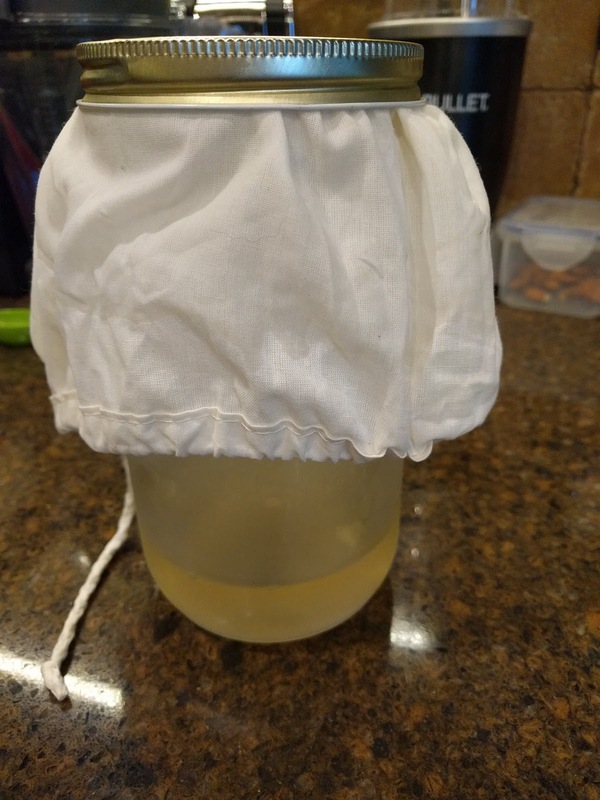 After 8 hours, cover the jar and chill it. *You CAN use other soy milks, but they have to be unsweetened and contain ONLY soy beans and water. Photo 1: I took the CHILLED homemade soy yogurt and placed it in a jelly strainer bag over a Mason jar. This is what it looked like at first. I put it in the refrigerator overnight. Photo 2: This is what the Shows the amount of liquid that was released from the yogurt overnight in the fridge (making a Greek-Style yogurt).